Tae literally means to jump, kick or smash with the foot. Kwon denotes the fist, the arm, fist.  Taekwondo is the way of kicking and punching. Taekwondo do is Art of unarmed combat for self defense. Students are to salute/bow respectfully to the flags and the master when entering or leaving the school. Discipline yourself to show respect to your fellow student who hold a higher belt rank that yourself. Address your instructor as Sabonim (master) and always answer with “Yes” Sir, or “No”. Horse play or disrespect of any kind will not be tolerated it. There will be NO SMOKING, NO ALCOHOLIC DRINKS and NO GUM CHEWING in the Dojang (School). Street shoes are not allowed in the Dojang (studio). Students will wear clean Do-boks (uniforms) at all times. Bad or fault Language is not permitted. Remember, Taekwondo is not only for your health and self defense but also for mental discipline that requires constant practice. Support your Taekwondo School by inviting your friends to watch and by explaining to them the true training spirit of Taekwondo. Warning, You workout at your own risk. The instructor will take every precaution to prevent injury, but if injury occurs, you are responsible.